Gemma Simpson murder. Killer Bell could spend the rest of his life behind bars. Three years ago, Martin Bell successfully persuaded Scarborough Council to forgive his shady past and allow him to get behind the wheel of a taxi. But while the authority allowed him to drive for Atlas Taxis with a pair of minor convictions behind him, what it didn’t realise was that over a decade earlier, he’d butchered Leeds woman Gemma Simpson. But until the 45-year-old walked into Northway station and confessed to the grizzly slaying, neither did the police. Now he’s behind bars, having been jailed on Friday for life. 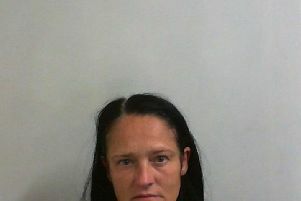 He will serve a minimum of 12 years in prison after admitting to her manslaughter on the grounds of diminished responsibility. Yet in November 2011, Scarborough Council decided the St Leonard’s Crescent man was a “fit and proper” man to taxi the public. In minutes published from his licensing hearing, despite the council seemingly having some concerns about the public risk he posed, Bell told members that he had “turned his life around” - and councillors agreed. Bell had been convicted of common assault in 2004, which along with another minor conviction, was disclosed to the council through a legal check. But what wasn’t made available was an incident in which Bell was sectioned in 1999 for threatening to knife a policeman to death. As he was dealt with outside of the courts, the incident wasn’t disclosed on his report. And the council obviously didn’t realise that in 2000, while high on drugs and believing he was carrying out God’s work, psychotic Bell repeatedly striking Gemma Simpson’s head with a hammer. Bell’s Leeds Crown Court trial also heard he then repeatedly stabbed her, before hiding her lifeless body in a bath as he cowered at the reality of the crime he’d just committed. After sawing her legs off, he drove a hired car to Brimham Rocks to bury her at the beauty spot, where she lay for 14 years while he carried out a normal life - even holidaying in the Caribbean. Sentencing him, Judge Peter Collier QC said the 23-year-old’s death was “brutal”, adding: “Your treatment of her body after death was dreadful. Staff at Atlas Taxis claim they’ve been told not to discuss their former colleague, who believed in witches. But Scarborough Council’s Steve Reynolds said that the council were just as much in the dark about Bell’s violent past as every one else - and that the authority would never do anything to put the public in danger. “Bell had been clear of convictions since 2004 and taking everything into consideration at the time, including the evidence put forward that he had turned his life around and was a changed person, councillors granted the licence. “The committee stated that the requirement for a driver to be a ‘fit and proper’ person was a continuing one and that where a driver fell below these standards their licence would be reviewed. “Following Martin Bell’s arrest earlier this year his licence was suspended with immediate effect pending investigation and after being informed of his conviction this week his licence will be revoked with immediate effect.